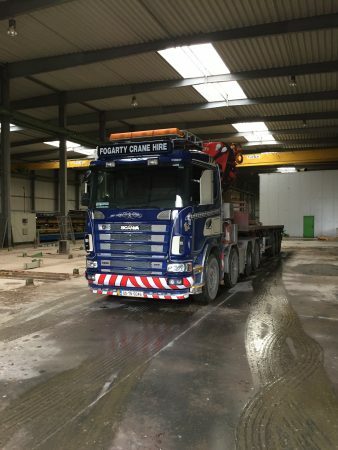 At Fogarty’s, we provide a competitive and wide range of services throughout Ireland.We are specialists in truck-mounted crane hire and transport. 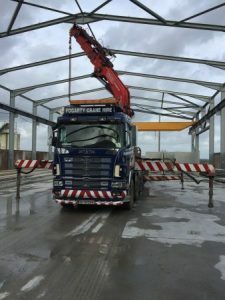 Our crane fleet of 4 cranes range from a 33t/m with a maximum lift capacity of 8,500kg with a reach of 14 meters, to a 90t/m crane with a lift capacity of 18,000kgs and a reach of 24 meters. This crane can also be used as a rigid or tractor unit. 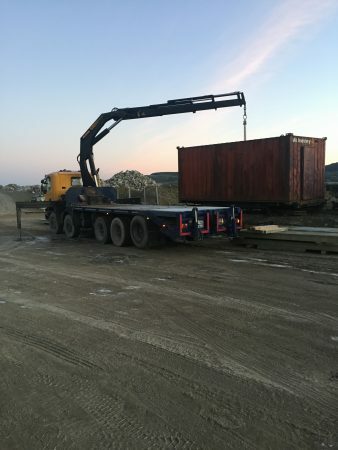 It can pull its own drawbar or arctic semi-trailer, to eliminate the need to hire a separate truck for transport. It’s compact, has all wheel steering and can access areas that no other crane can access. 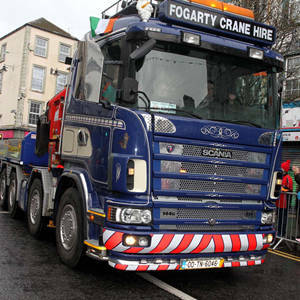 Fogarty Concrete represented at the St. Patrick’s Day parade in Nenagh on Sunday, March 18th 2018. 1 tractor unit with 90t/m crane. 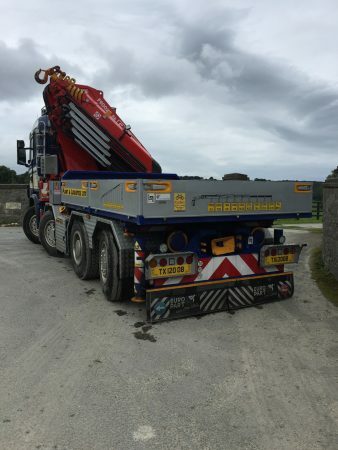 1 five-axle rigid rated at 39.000kgs with a plant body and 33t/m crane. 2 flat-bed eight wheel rigid trucks with 33t/m cranes and trailers. 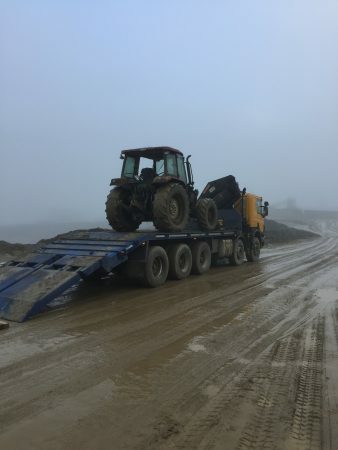 1 double drive tractor unit rated at 70,000 kgs. 1 arctic tractor unit 6×2. Flat trailers ranging from 36′ to 45′.